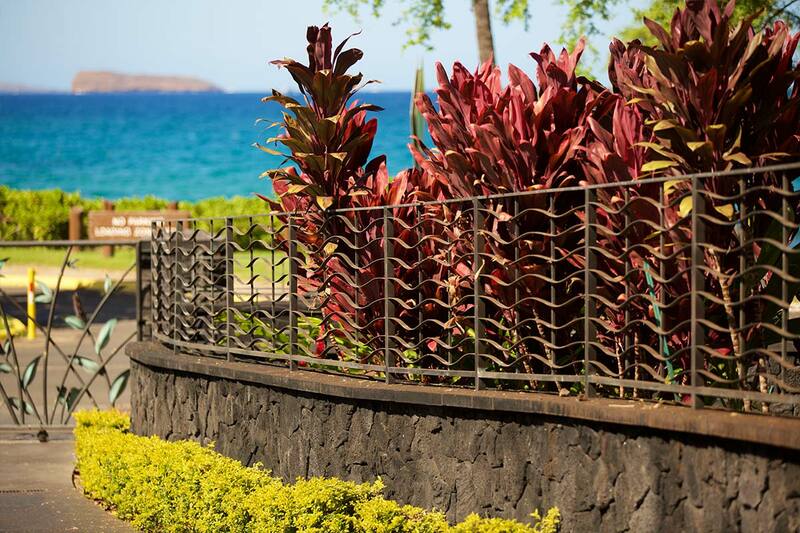 Makena Sunset is a luxury development in Makena Maui. 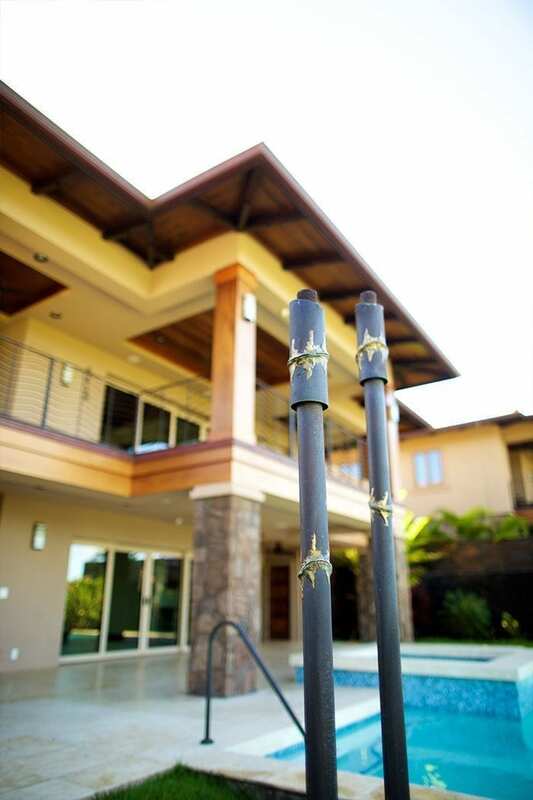 The developer designed and built four custom homes for the luxury housing market. 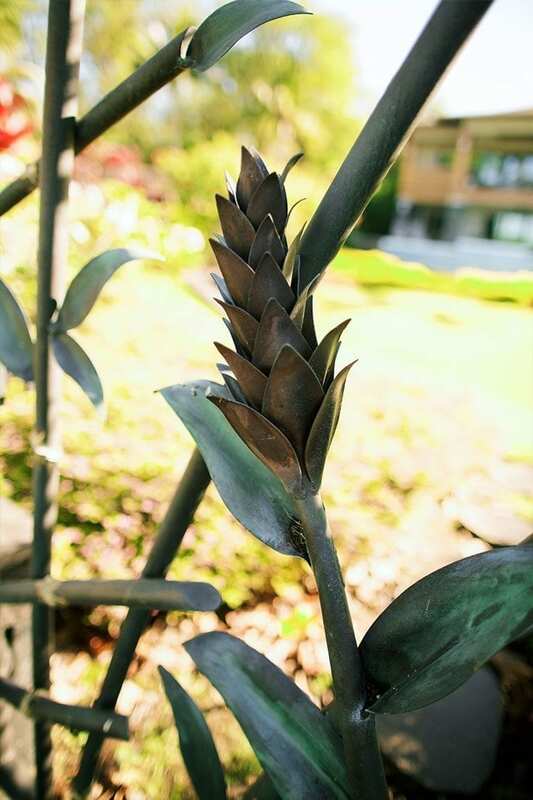 The Padilla Designs team was hired to help the properties be unique and different by incorporating functional metal sculpture. 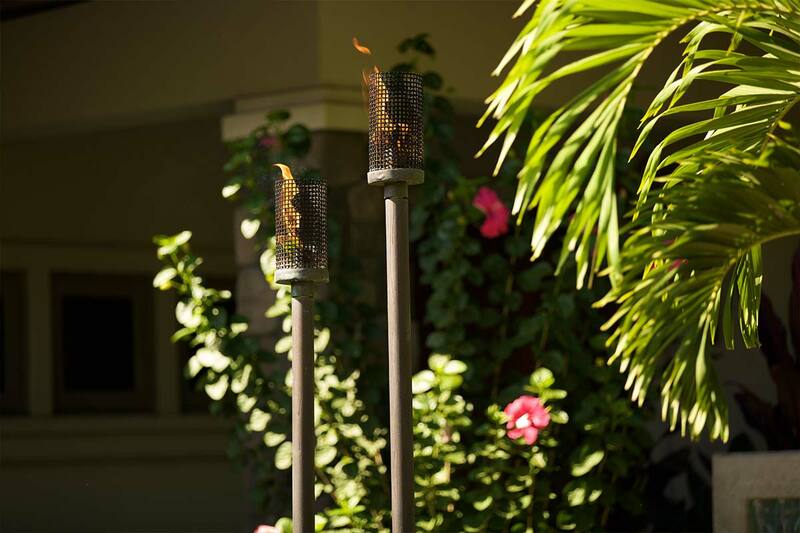 We designed the front fencing, entrance and service gates, balcony and wall guard railings, tiki torches and pool railings. 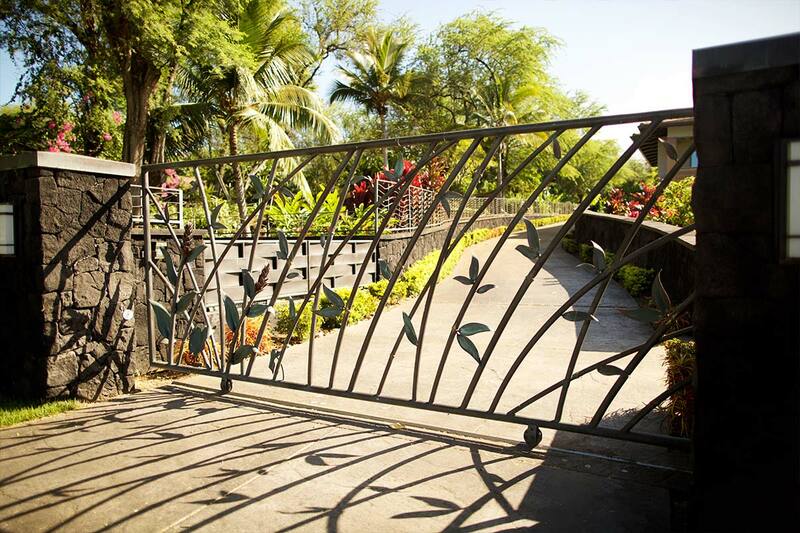 The front of the property runs along the main road and spans nearly 200 feet. 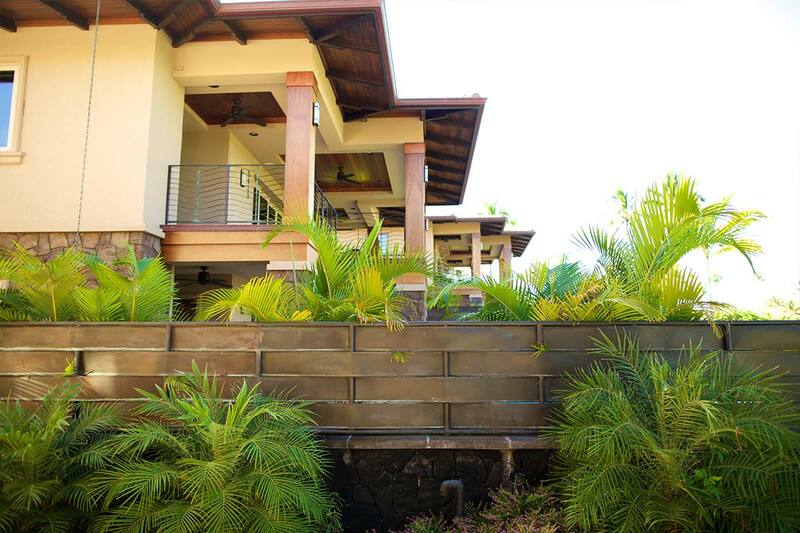 For first impression wow factor and curb appeal we incorporated a copper bamboo and red ginger design into the front fence and entrance gates. 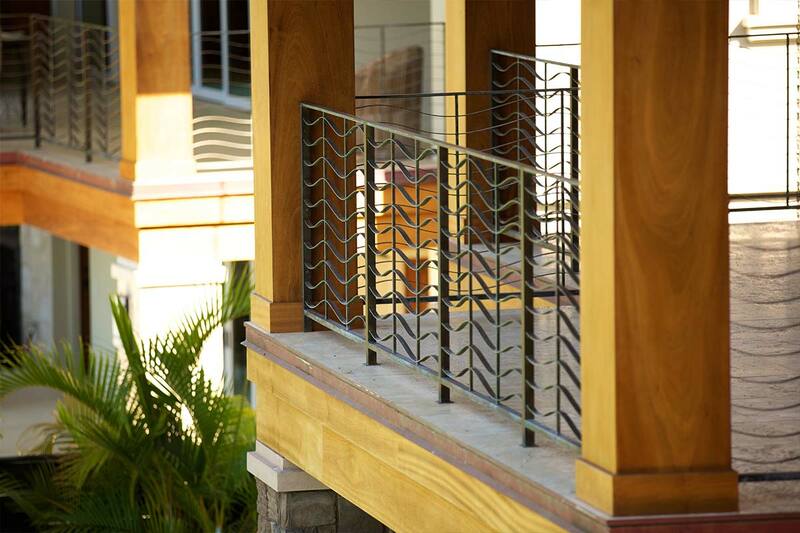 The ocean front balconies were a perfect location for our signature brass wave guard railing design. 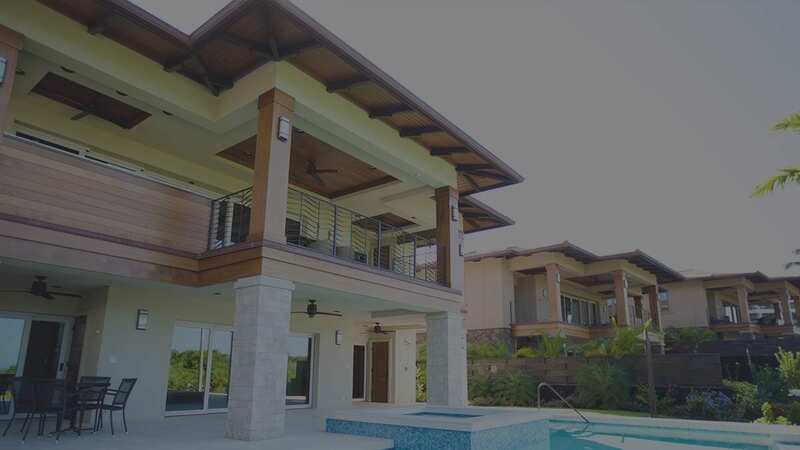 Fabricated from solid brass these railings were installed above the water proof membrane by concealing an internal stainless steel structure underneath the concrete and tile flooring. 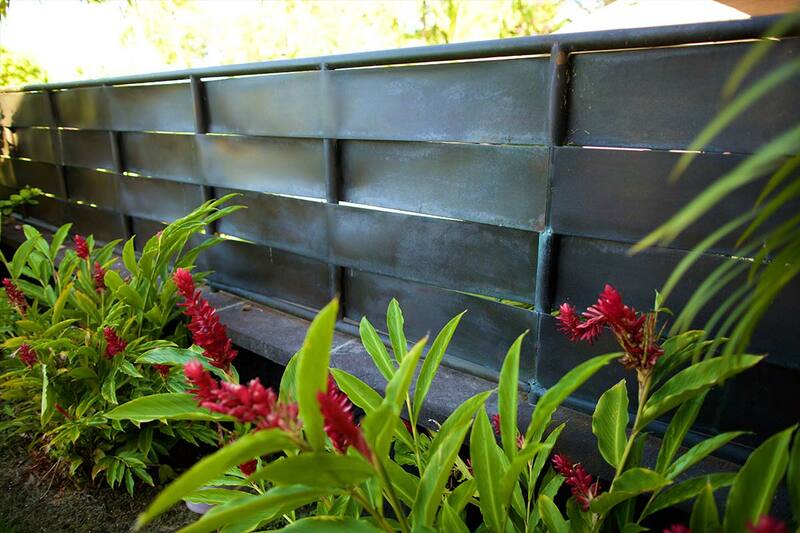 The propane and trash enclosures needed a solid design that was non intrusive and would weather beautifully. 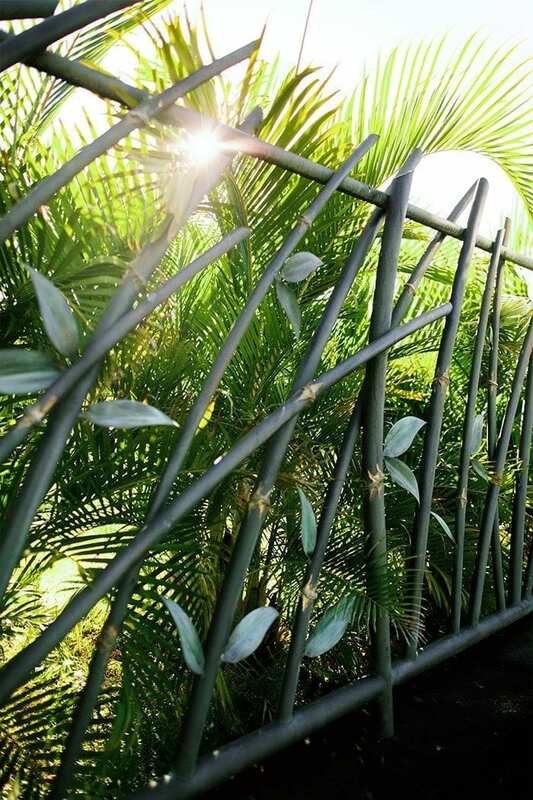 The woven copper design was customized for these utility gates. 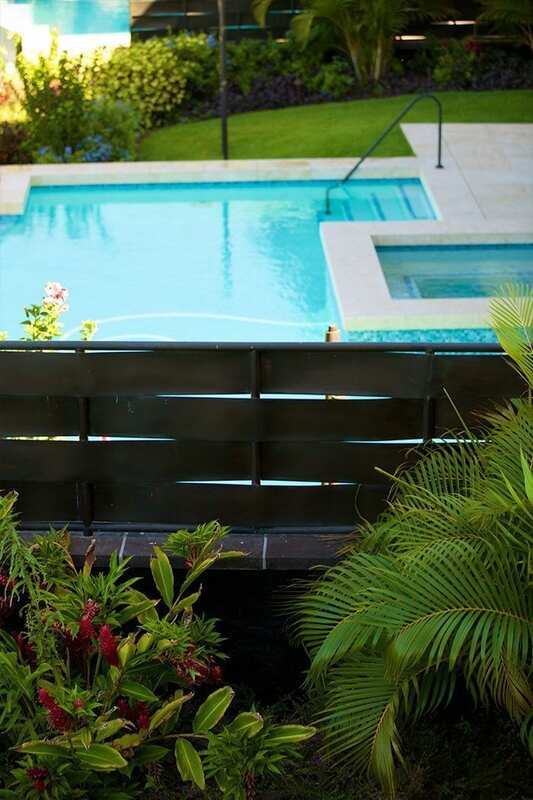 We carried this design for the privacy paneling that runs in between the houses separating the pools. 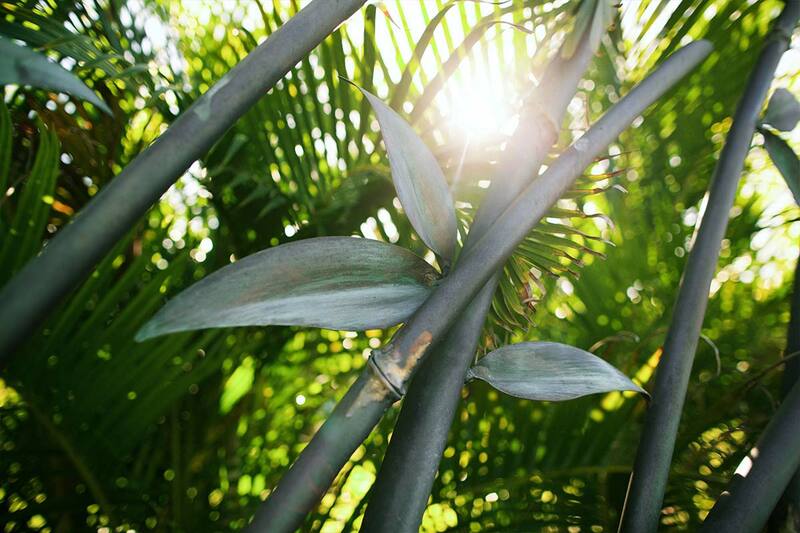 Each house had its own theme that slightly set it apart from the others. 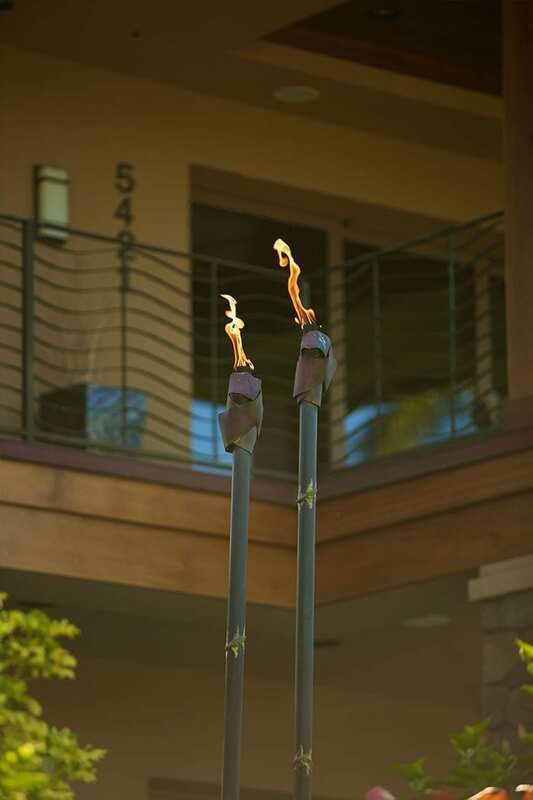 We designed a signature tiki torch for each house that graces the pool and entry doors with fire and sculpture. 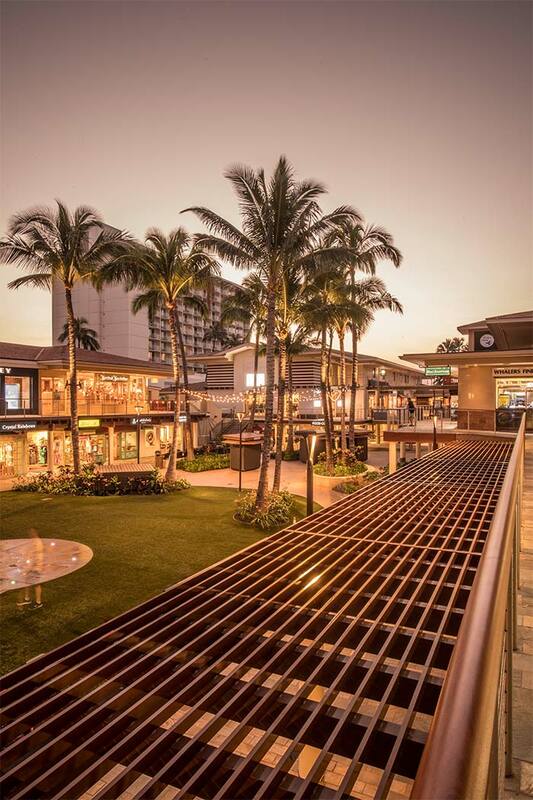 A Refresh of the infamous Whalers Village retail mall in Kaanapali Maui. 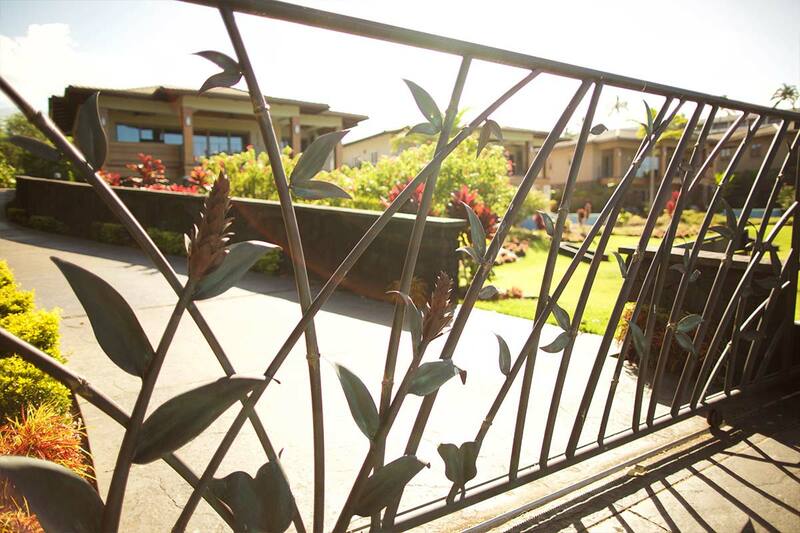 Engineering fabrication and installation of 300 feet of architectural trellis.